Humans Are 'Meathooked' But Not Designed For Meat-Eating : 13.7: Cosmos And Culture It's all well and good to cut down on eating animals, but aren't our bodies designed to require meat in our diets? Anthropologist Barbara J. King takes a look at a new book saying the answer is "no." I encounter claims that humans were designed to eat meat — that it's in our genes, that we have teeth made for eating meat, that we need meat to get all the right nutrients — all the time in casual conversation and in media in stronger and weaker versions. 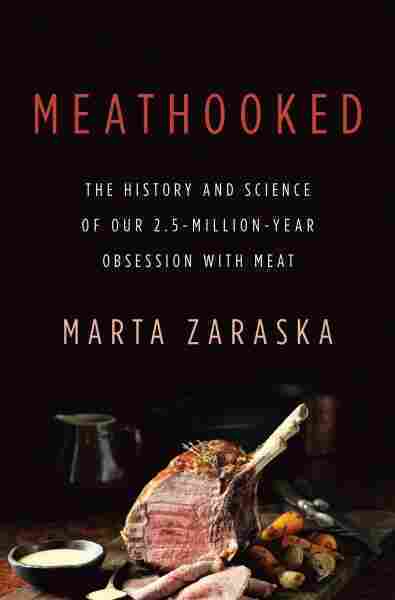 In Meathooked: The History and Science of Our 2.5-Million-Year Obsession with Meat, science writer Marta Zaraska does a great job of exposing these claims as myths. Vegetarian animals ranging from gorillas to water deer, she reports, have bigger, sharper canines than we do; our canines aren't specially meant for processing meat. What we lack dentally is more important, in fact, than what we have. Gently open a (calm) dog's jaw, and there at the back will be the carnassial teeth, "blade-like and sharp and perfect for slicing meat." Lions and tigers, racoons and house cats — all carnivores — have them too. We don't. True, vitamin B-12 is an exception: It's found only in meat, eggs and dairy. Vegetarians, then, still do fine (because of the eggs and dairy); vegans need to eat foods fortified with B-12 or take a supplement. Meat isn't necessary to keep us healthy. I think the meat-myth-busting, too, is a central contribution of the book — and I'd like to take it even further. "According to the U.S. Department of Agriculture (USDA), in 2011 we ate an average of sixty-one pounds more of meat than we did in 1951—that's about 122 average eight-ounce steaks a year more, despite all the accumulating warnings about cancer, diabetes, and heart disease. 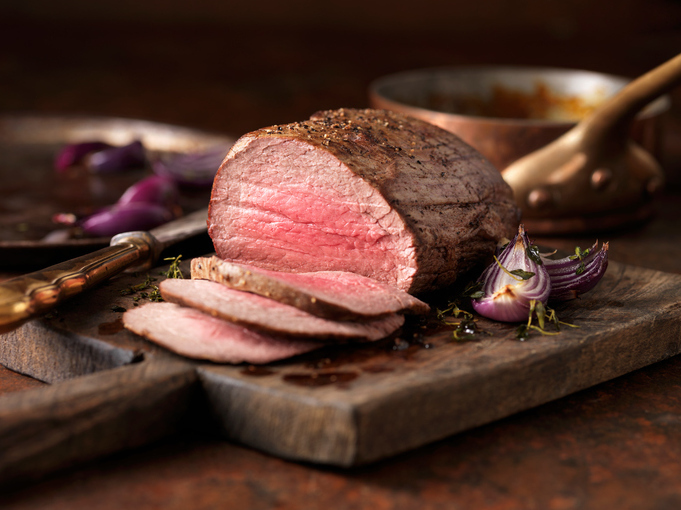 ... Across the world, the appetite for animal protein is on the rise. The Organisation for Economic Co-operation and Development (OECD) estimates that by 2020 the demand for meat in North America will increase by 8 percent (as compared to 2011), in Europe by 7 percent, and in Asia by a whopping 56 percent. In China, meat consumption has quadrupled since 1980." "GFI uses markets and food technology to transform global diets away from animal-based meat, dairy, and eggs, and toward plant-based and 'clean,' cultured alternatives. We are incredibly optimistic that in 25 years, more than half of all meat will either be plant-based or clean. By 2050, we'll be at 100 percent. "We are very close to having plant-based meat that tastes exactly the same as animal-based meat, and we are also growing 'clean' meat in cultures, no animals required. So while it is true that demand for meat is going up in the developing world especially, as food technologies do a better job of replicating animal-based meat with plants, you'll see a huge shift away from animal meat and toward plant meat, which is far more efficient, healthier, and causes a tiny fraction of the climate change created by animal-based meat. "We expect that in 10 years, clean meat will be cost-competitive with animal-based meat, and at that point, you'll see animal-based meat go the way of the horse and buggy." A cross-cultural perspective (including an understanding of food and poverty) is going to be important here. Yet any worries that we're universally stuck with a meat-laden future may well be just another myth. Polls show that as people start dropping foods from their diets, they tend to continue: " ... first goes red meat, then chicken, then fish, then milk and eggs," Zaraska writes. The full linear progression won't happen for everyone, for a variety of reasons (I still eat fish, myself), but the trend offers another reason for optimism. "Giving more kudos" to folks who take any steps to consume less meat, Zaraska suggests, may be the best way to go. In describing people's cravings for meat, Zaraska asks: "After all, what would Thanksgiving look like without a turkey or a summer grill without a burger?" "Fortunately today, we can celebrate with faux meats like Tofurky Vegetarian Feast, Field Roast's Celebration Roast, and Beyond Meat's Beastburger. No one gets hurt, and we can still have a pretty awesome time." That's no myth: We can eat well — maintaining our health and enjoying delicious flavor — without meat.